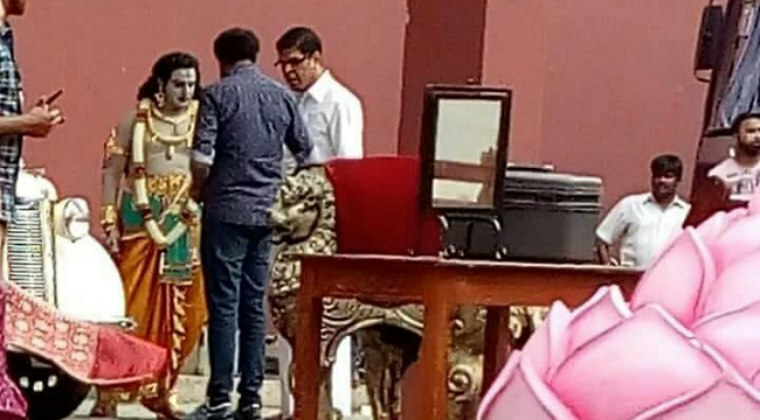 Couple of pictures from the sets of NTR Biopic got leaked and they are going viral in the social media. NTR is seen in the role of lord Sri Krishna in the pictures while director Krish and actor Murali Sharma are also seen in the leaked images. The shooting of NTR biopic is currently progressing in Ramoji Film City in specially assembled sets and Krish is directing the movie. Actor Murali Sharma was recently brought on board for the role of legendary filmmaker Aluri Chakrapani. NTR biopic is being produced by NBK Films banner. Next articleHappy Wedding Release Date Confirmed!